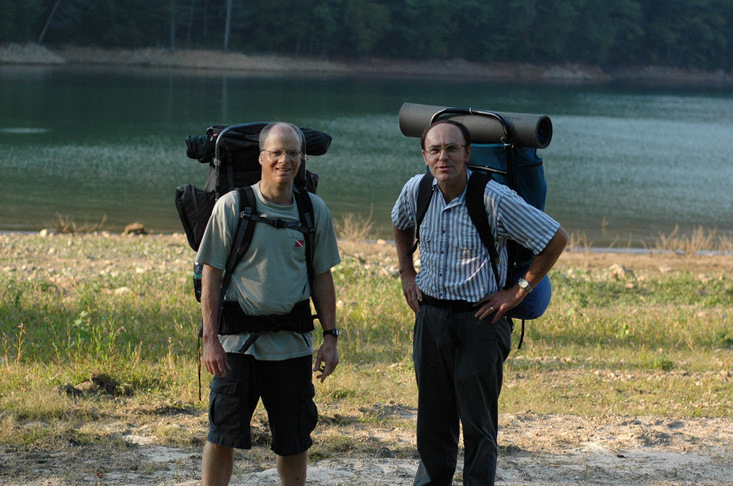 In the fall of 2006, my brother-in-law Andy and I spent 8 full days and 2 half days on the AT. 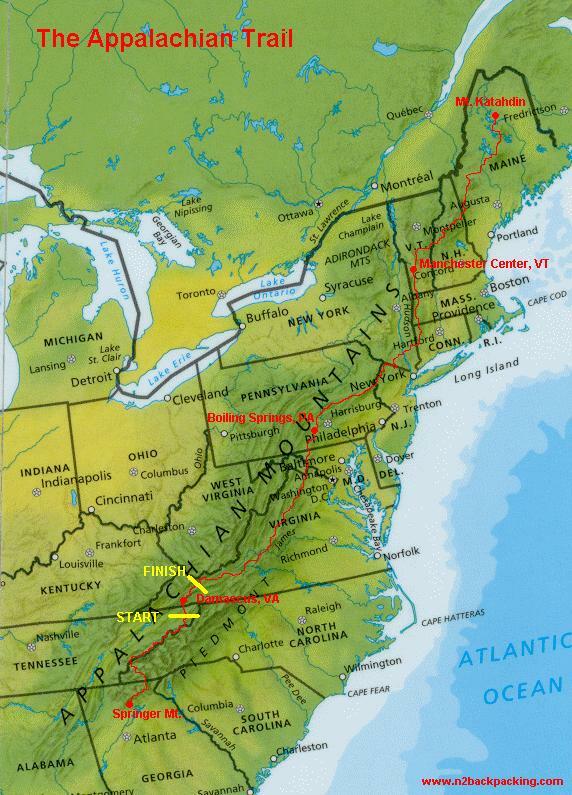 We travelled from Watauga Dam in Tennessee to where the trail crosses Interstate 81 in Virginia, a distance of 118 mi on the trail. 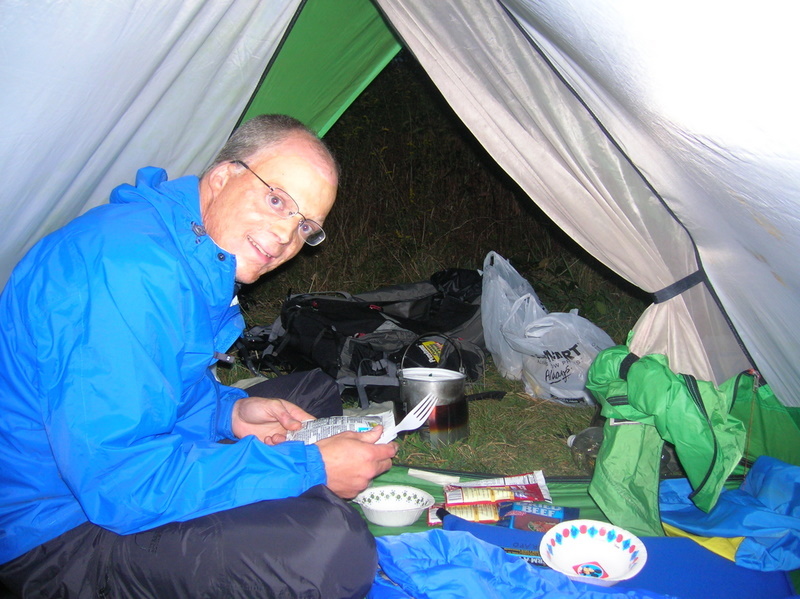 Mostly good weather, but some rain on several days as well. We had a resupply in Damascus, after a few days into the trip. 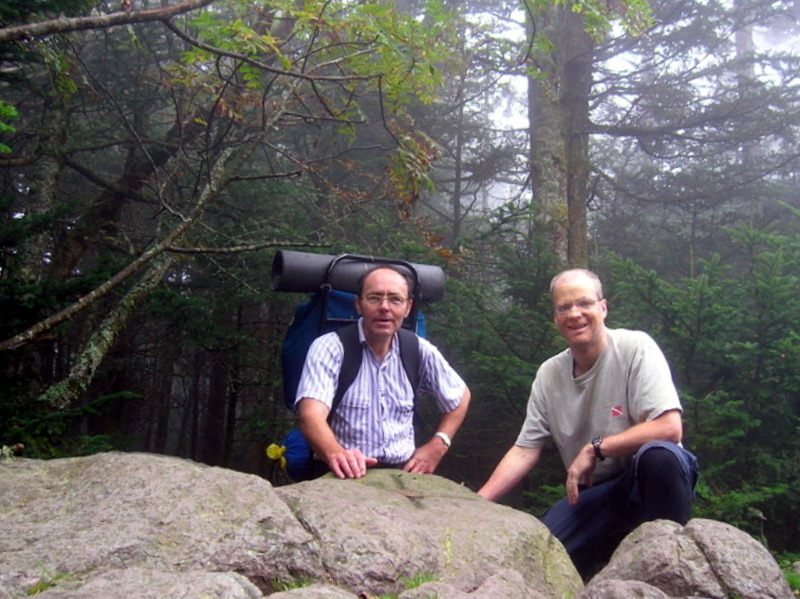 Each of us had wanted to have an AT hiking experience, to see what it would be like. 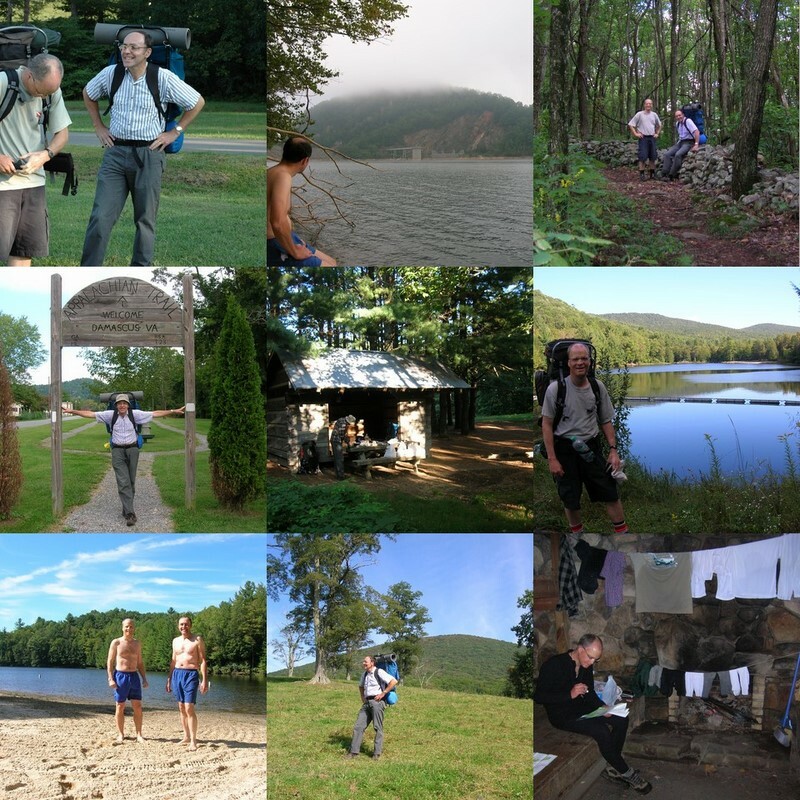 Although 118 miles is not far compared to the total trail of over 2100 miles, it's likely enough to get a taste of a thru hike. We did meet several southbounders along the way. We had a great trip. 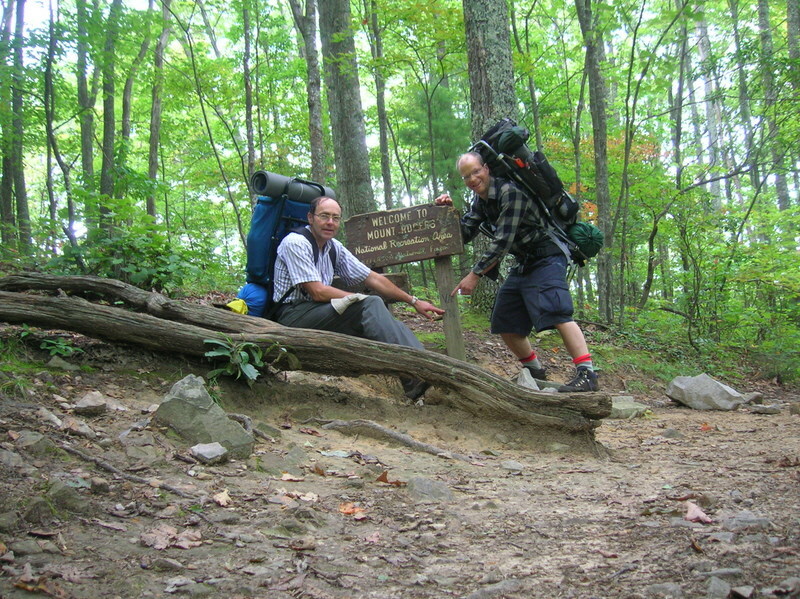 A long trail, at 2100 miles...and we covered barely 5% of it. Still, we were proud of ourselves. The trail mainly runs along the tops of this type of ridge, with some, but not many views. Forty years ago, I'm sure the views were better, but even today some very impressive landscape. Outside one State Park we went through, we saw only a few people each day. Cooking dinner...typically pouched meat with dried potatoes or stuffing or rice. Cooked on my homemade alcohol stove. Top of Mt Rogers. 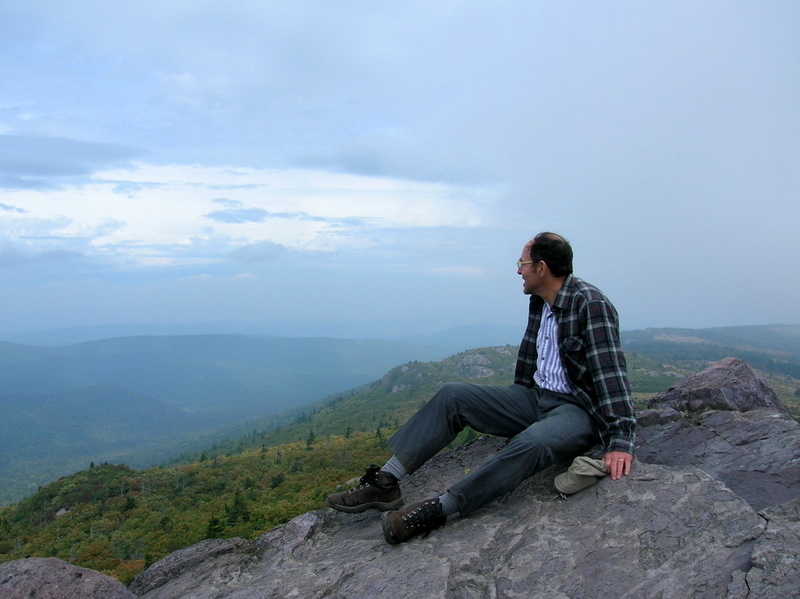 At 5200 ft, it's very similar to the lower Adirondack peaks of 3500-4000 ft, but 400 mi north. 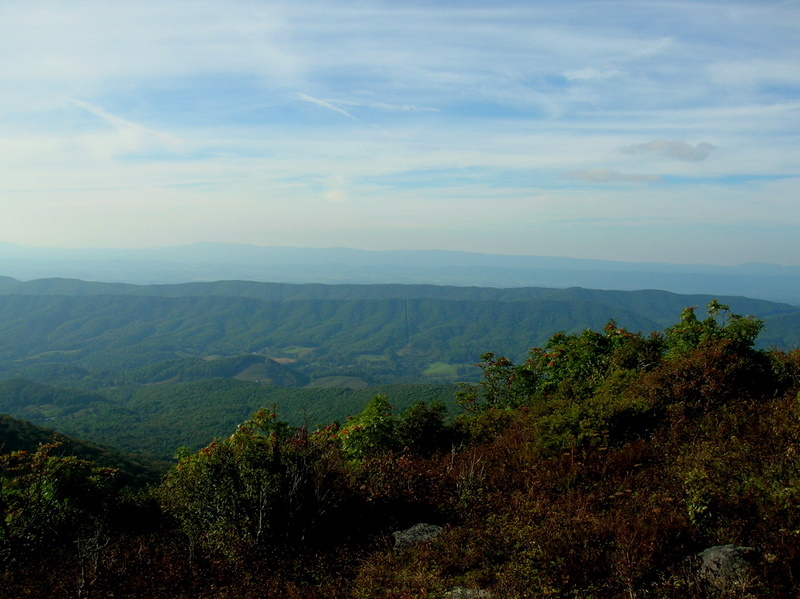 The Grayson Highlands State Park in Virgina. Quite a surprise here, to see the rough and open landscape, through the rain, of course. 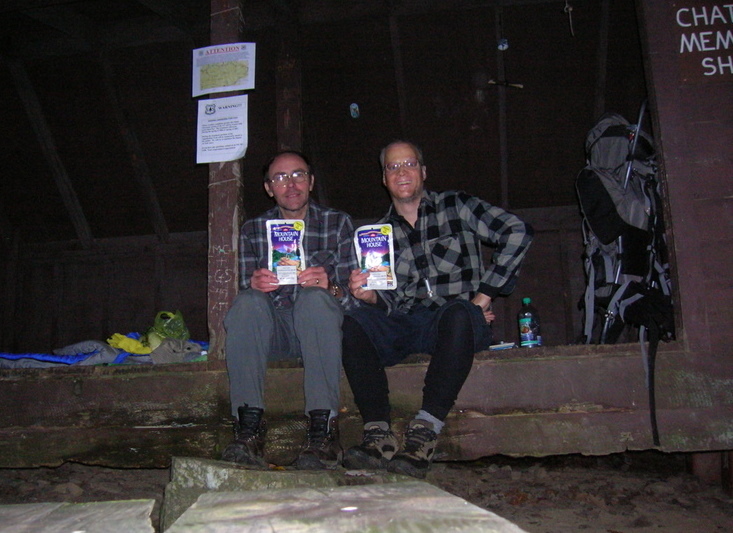 Celebrating our last night in a shelter with some freeze dried ice cream. Not too bad.